Luxurious layers of buttercream cotton cardstocks make up this 3 layer rustic elegance olive branch wedding invitations design. 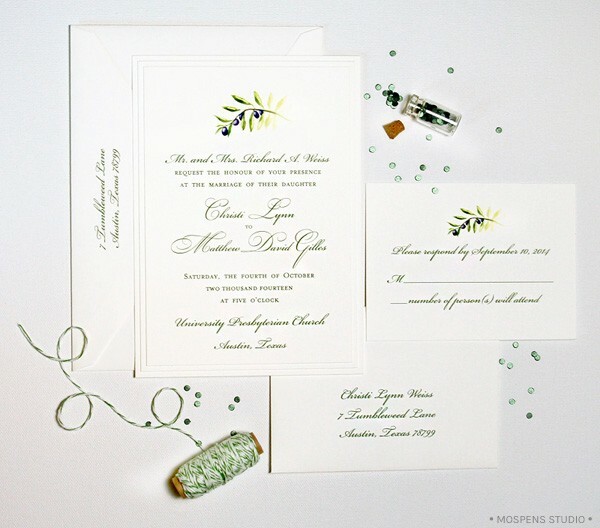 Printed in painterly detail, our custom olive branch invitations welcome the rustic theme with elegant style! Designed for our NYC client, the original olive branch watercolor artwork is re-created with fabulous color on this wedding invitation. 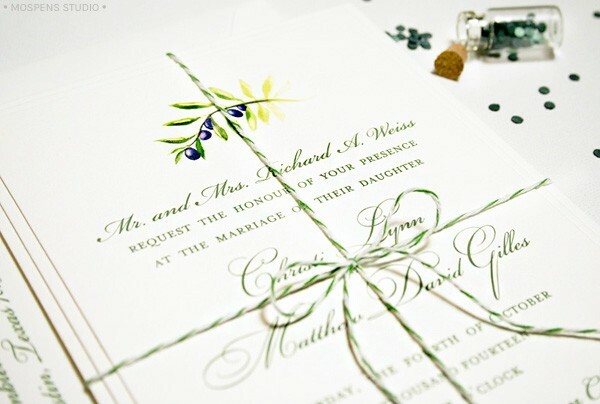 Optional harmonious green and off-white twine wraps up this design in a hand-crafted bundle wedding guests are sure to LOVE. 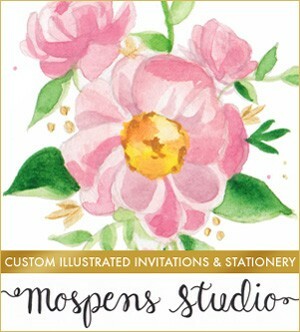 Today we are delighted to offer 20% off and COMPLIMENTARY guest addressing when you spend $150.00 or more at MospensStudio.com. The savings can be pretty incredible! Details on today’s special can be found on our current Promotions Page. Feel free to contact me directly if you have any questions today. The weather is rainy and dreary here today in Ohio. So today I am inspired by light pastel hues with a splash of elegant gold. I stumbled across this GORGEOUS photo on Pinterest, of course. I pinned to my MINT GREEN wedding inspired wedding boards and have adored it ever since. 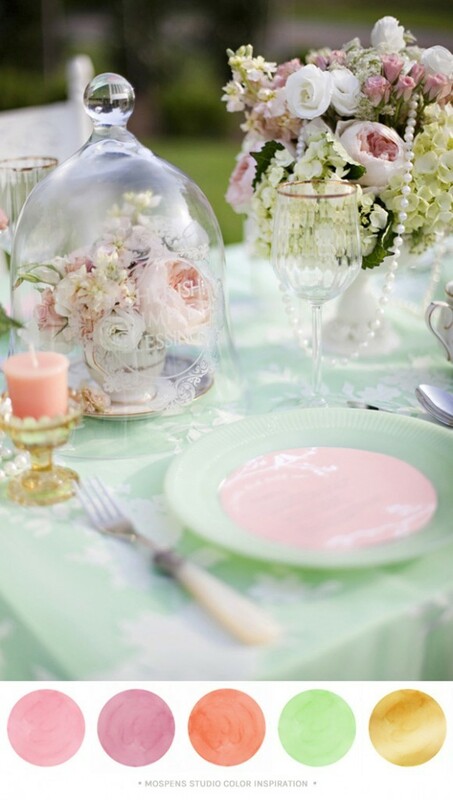 If you are looking for soft colors for an elegant spring wedding or event. These hues are for YOU. Comprised of Minty Green, Soft Metallic Gold, Peachy Orange, Soft Blush Pink, and Light Mauve Pinks. Perfect for a wedding or bridal shower. So VERY LOVELY! This giveaway ends on April 26, 2013 at NOON 12:00PM ET. USA residents qualify only. 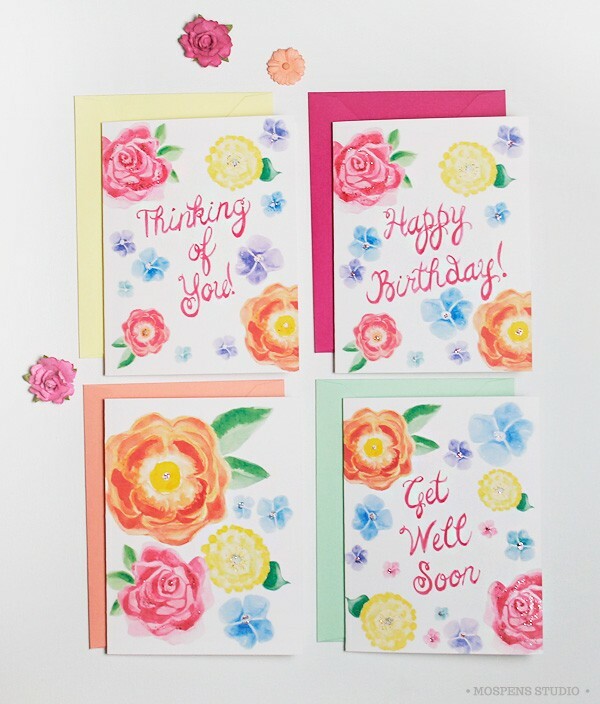 One random winner will be chosen to win one 8 pack of illustrated greeting cards with 4 designs (shown above). 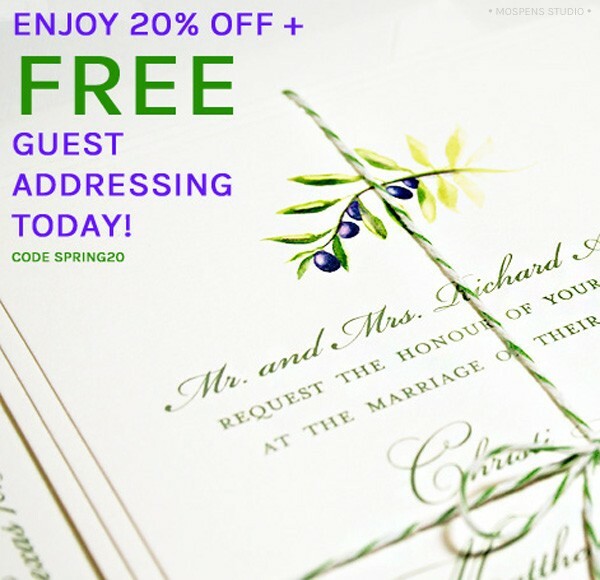 STEP UP your Save the Date Design! 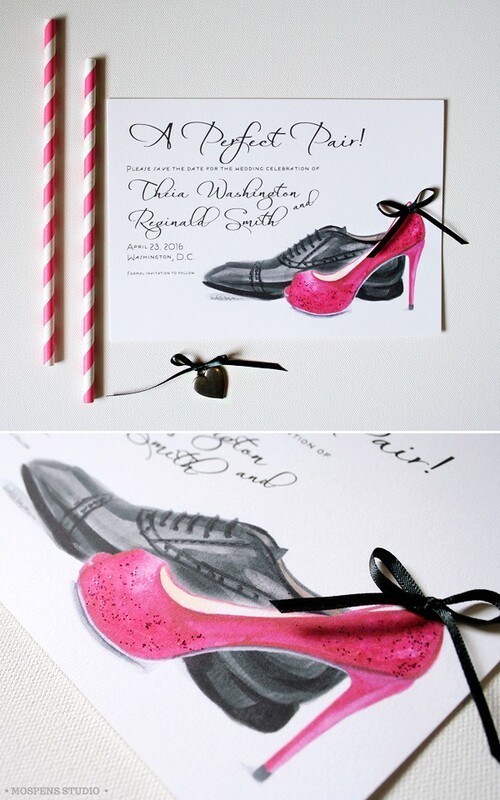 Our FUN hot pink high heel and black men’s shoe save the date cards are perfect for the shoe LOVERS. This save the date was customized for Jennifer’s sample she ordered. The hand-painted high heel in watercolor is hand-painted with hot magenta pink sparkle and the back of the heel is adorned with a real hand-tied ribbon bow. ADORABLE! The magenta pink high heel can be changed to almost any color! Think green, blue, purple, orange, … you get the idea! 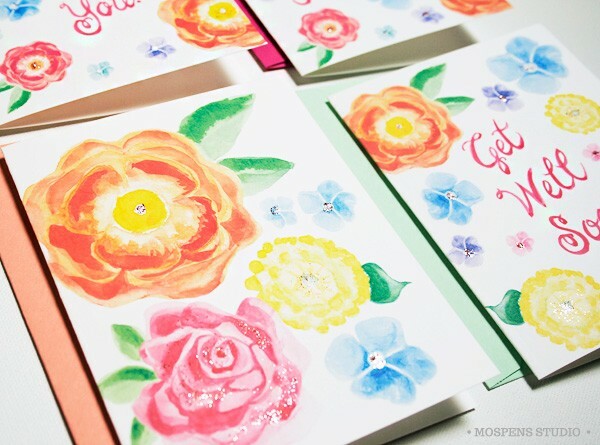 This creative save the date is a PERFECT example of how Mospens Studio customizes original stationery to match your color scheme and style! This HIS AND HERS SHOES save the date card design originated on buttercream cardstock with a brown men’s shoe and a leopard print high heel shoe watercolor artworks. Pinch me! Working with watercolor crab and adirondack chair art always makes feel like I’m sitting by the sea!! 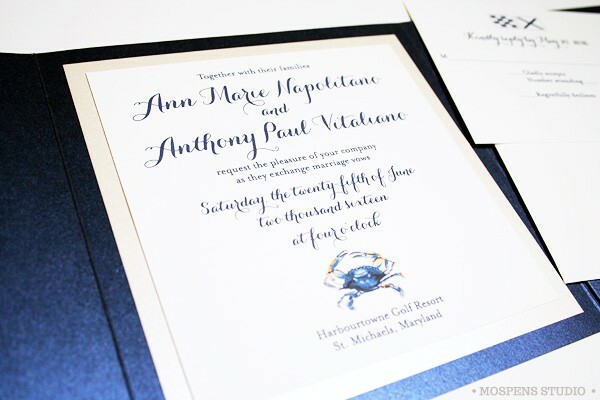 Introducing … The CHESAPEAKE BAY Design! 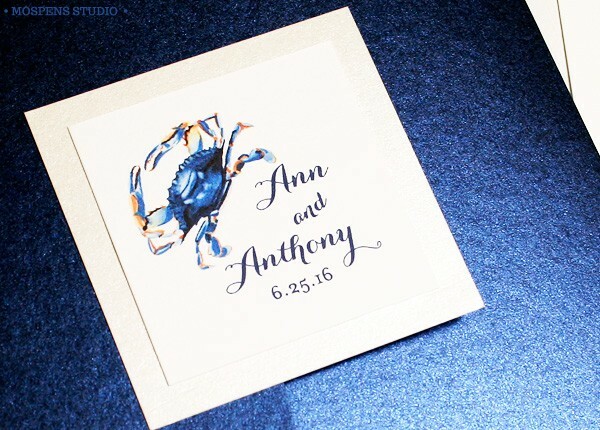 This Chesapeake Bay wedding invitation is an original hand-crafted custom design featuring my original hand-painted artworks. Beautiful shades of blue, navy, white, and pearl hues lends the look of a coastal collage. The soft pearl color background card layer resembles seashells found on the seashore. 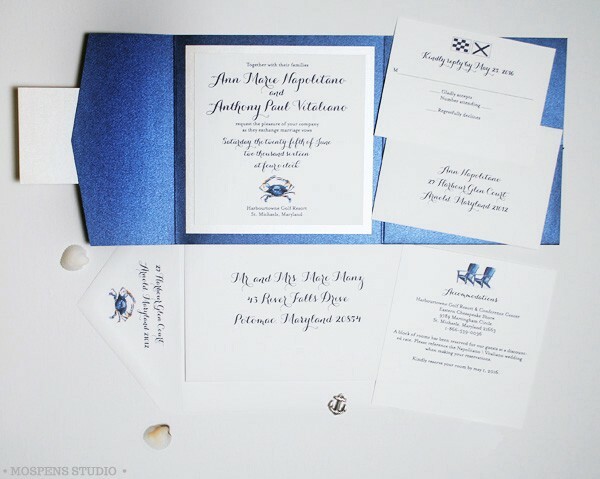 Personalized nautical flags replicate the couples first initials on the reply card. Fonts, ink colors, and more can be customized just for you. 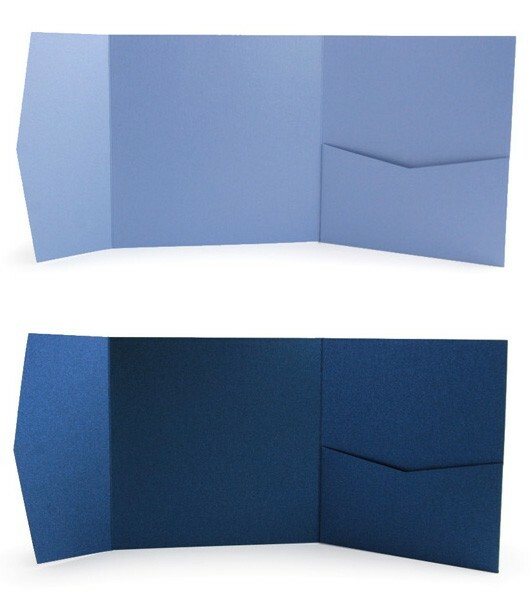 The tri-fold pocketfolder keeps your wedding details perfectly organized for your guests. On the right side the reply card and envelope as well as the accommodations card is tucked into the pocket neatly. 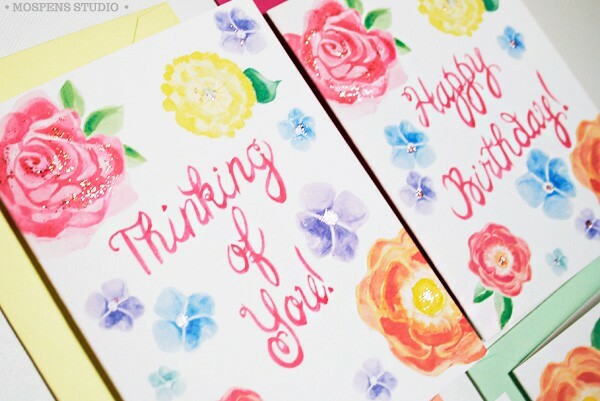 On the front, a personalized card with a border of pearlized sparkle cardstock. 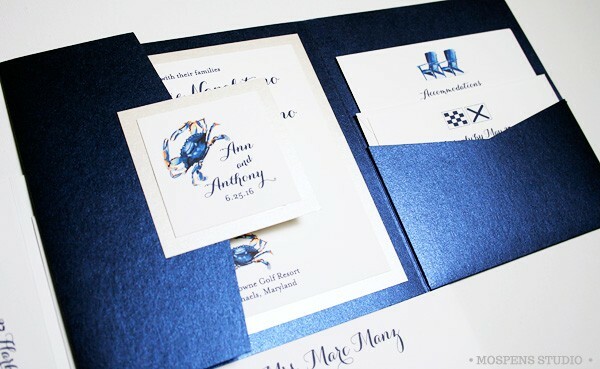 Bridal shower invitations, rehearsal dinner invites, save the dates, menus, wedding programs, table cards, name seating cards, thank you cards, and more are available to match your sea-worthy stationery theme. The navy sparkly folder resembles the sea basking in the sunlight. If you REALLY love sparkle, we can hand-paint the blue crab with a bit of fine sparkle to add a handmade touch! This design is customizable to match your color scheme. Create a new nautical look with an anchor motif, compass, sailboat, oars, and more. Remember, I am an artist and LOVE to help you express your unique personal style! Most times I already have the artwork you are looking for. POP! I am loving this color mood board for summer! 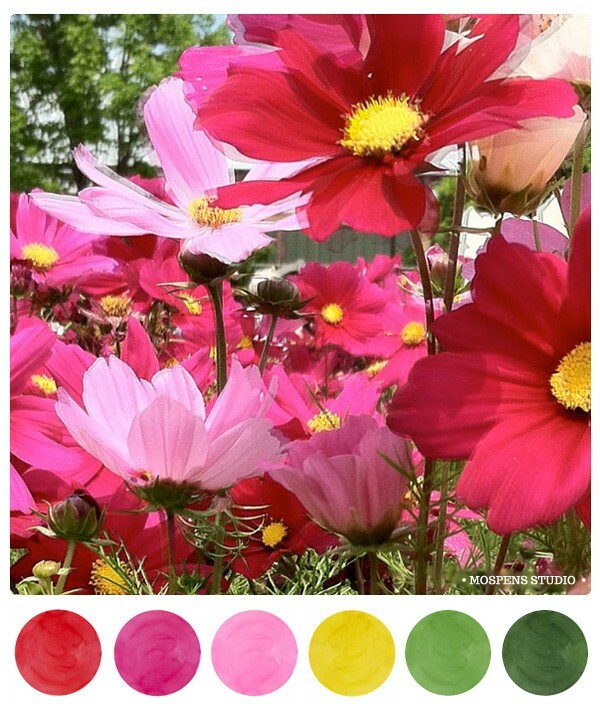 Red, fandango pink, pink, yellow, light + dark greens are perfect for spring or summer. Add a splash of gold, silver, gray, brown, or black as an accent color. If you are going to use Yellow with this mix, I would only add a teensy tiny dash. However, if you are a yellow lover then by all means go all out yellow and forget the red. You certainly don’t want your event looking like ketchup and mustard. For a more preppy look, use the bright pink and bright light greens as your main colors. Throw in gray as an accent color. Gray will allow the pink and green to keep center stage. Have fun expressing your summer style! P.S. 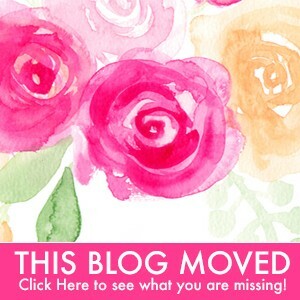 ~ If you want more wedding color inspiration see my wedding color inspiration boards on Pinterest! Today, I am featuring the perfect collection of summer hues. Fabulous for a summer fête! 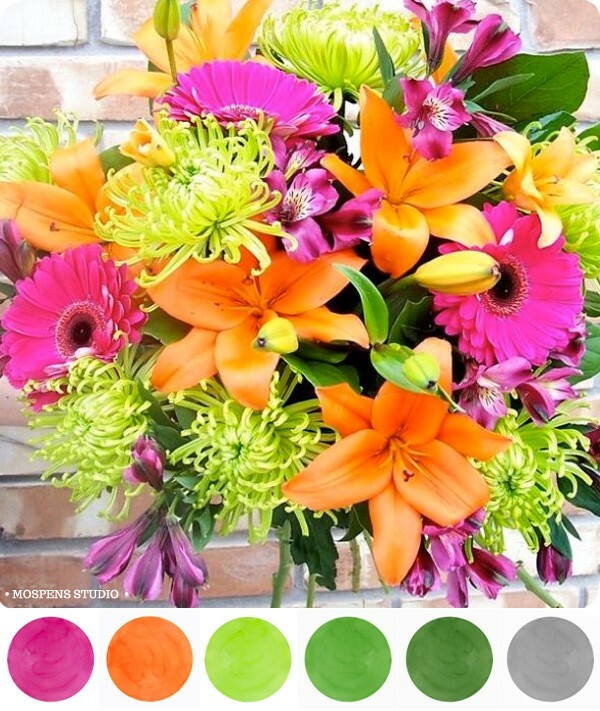 Bright pink, orange, light lime green, green, dark green, and a splash of gray as an accent color. 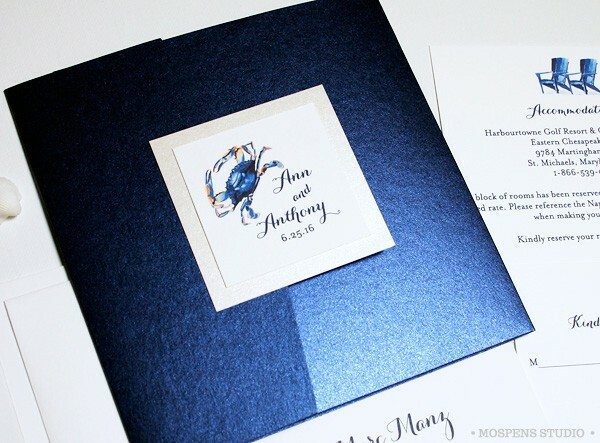 When choosing colors for your wedding and party stationery you can use the darker hues for the text. 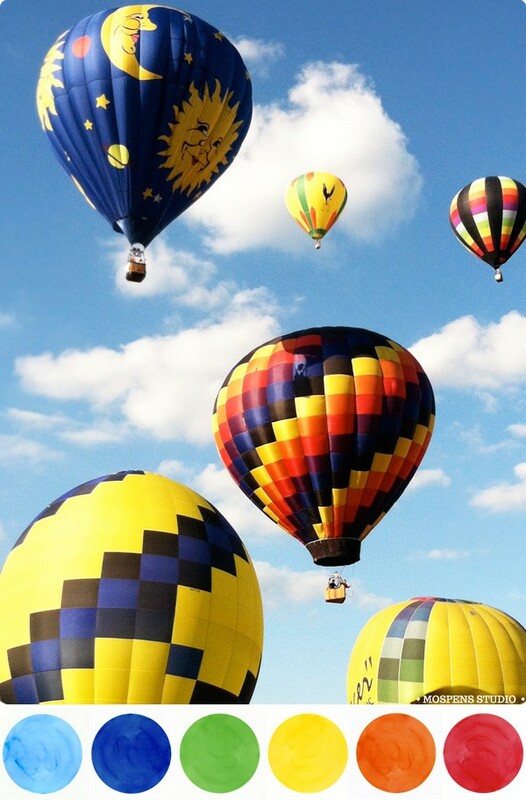 A client emailed this photo from weddingbee.com to show me her wedding colors!